With our bathroom finally being given the green light by the landlord I am feeling more and more happy about staying here. Yes the front steps are a mission with a baby and a pushchair (who doesn't like a challenge?!) and there are still a few tiny issues but they can be fixed and we can be happy here for a while longer! 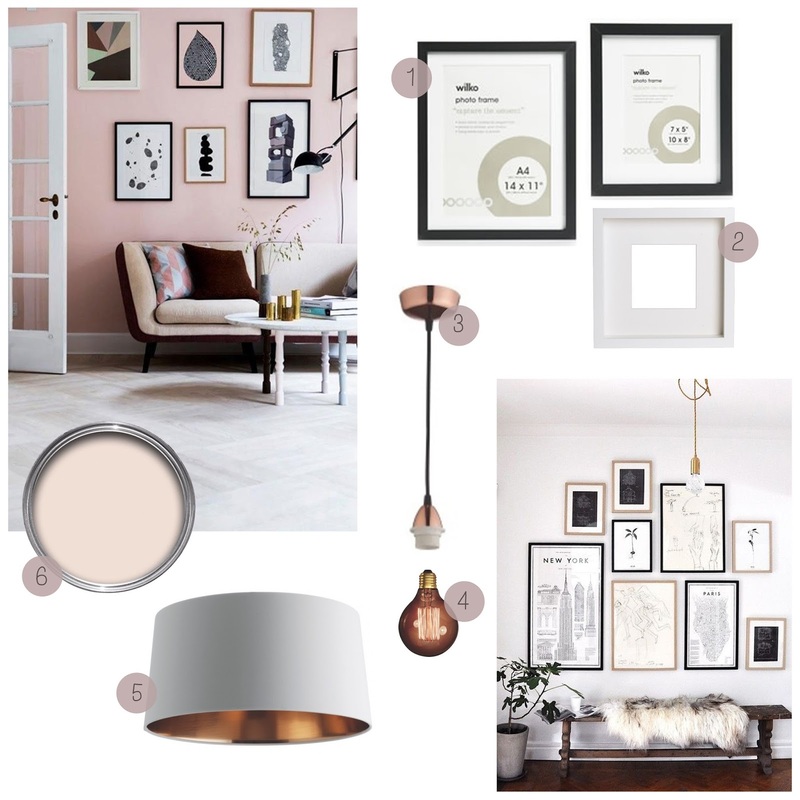 This decision has inspired me even more to get photo frames for a gallery wall of family snaps and motivational quotes as well as paint pots to give the hallway some TLC. 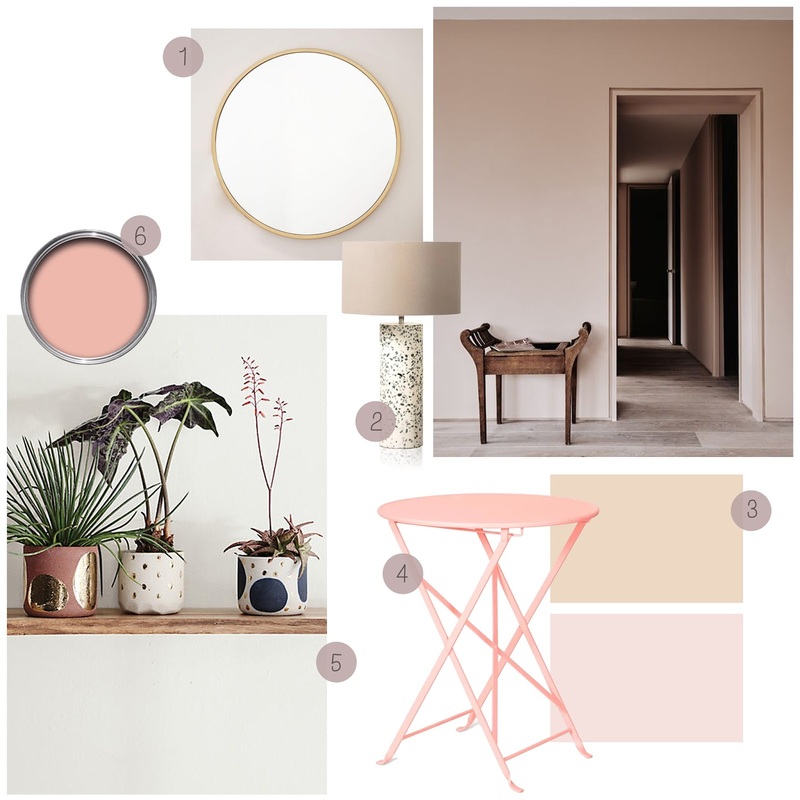 I love the idea of a soft or pale dusky pink for the walls and a side table for a lamp and a house plant or two. I can imagine my cream coloured vintage sewing machine sitting here nicely too. The hallway needs a re-fresh and it is currently housing a pile of things for the charity shop and boxes of old clothes. I would love more than anything to finally live clutter-free and for the House To-Do list to be thrown out and completed. That way all that ever needs to be done is to add new photos or prints to our gallery wall and a lick of paint here and there etc. Have you had any recent inspiration for House renovations? A fresh lick of paint or even new cushion covers perhaps? I would never have thought of pink for colouring in the house before, but the images you've shown are really subtle and nice. We're in the middle of massive renovations at the moment (7 months pregnant and no carpet down, with plastering still to do throughout the house, no tiles on the bathroom walls and a new kitchen arriving in a few week's time...!) << My house to-do-list is a long way from being complete! You'll have to think of the stairs as a workout - I love the little pink table.